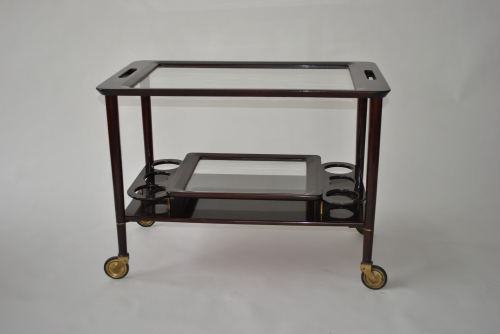 Exceptional rosewood serving trolley with detachable tray on the lower level. 2 rosewood framed glass shelves, the lower level with 6 bottle holders and tray. 1st time I have seen this design.